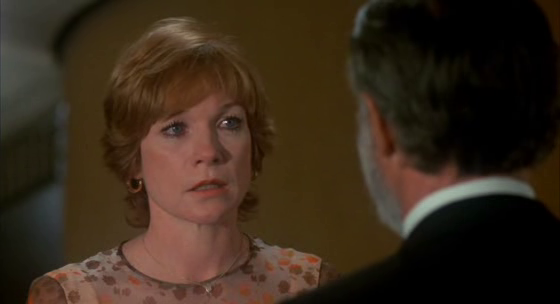 A former ballerina (Shirley MacLaine) who gave up her career to marry her lover (Tom Skerritt) and have children revisits her past when her oldest daughter (Leslie Browne) is offered a position with the American Ballet Company, and is mentored by MacLaine’s friend and former rival (Anne Bancroft). 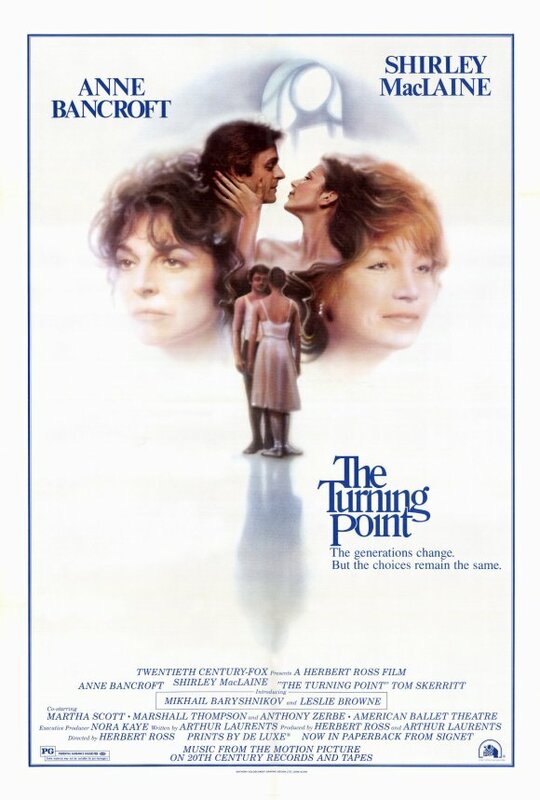 The Turning Point (produced and directed by Herbert Ross) holds a rather infamous place in cinematic history, given that it garnered no less than 11 Academy Award nominations (including one for Best Picture), but didn’t win in any category. 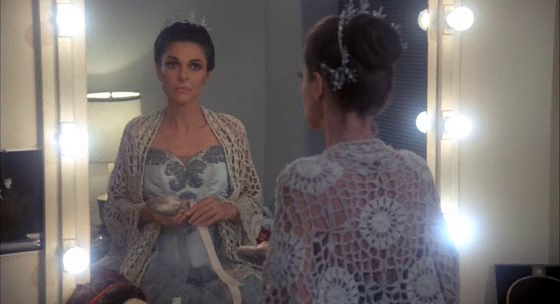 As a backstage melodrama centered around the highly competitive world of professional ballet, it has generated renewed interest since the release of Black Swan in 2010 — however, the two films take radically different approaches to the material, with The Turning Point grounded much more firmly in real-world interactions. Unfortunately, its heavy-handed script is a disappointment, relying on cliched subplots and scenarios; while there are honest and complex emotions lurking behind everything that takes place, as played out, we can’t help feeling like we’re watching an extended episode of “As the Ballet World Turns”. Meanwhile, the entire affair is hurt by the noticeably amateurish supporting cast, many of whom are professional dancers whose estimable physical talents belong on the stage, not behind a movie camera. 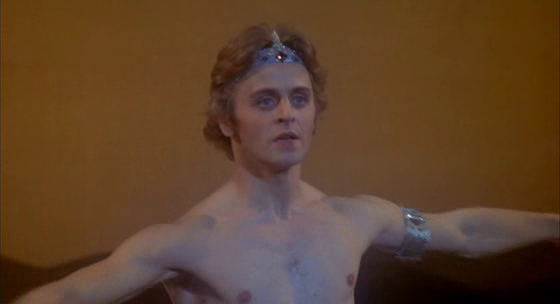 Indeed, it’s simply astonishing to note that the Academy gave a Best Supporting Actress nod to Browne, whose dancing is lovely but whose expressions are simply vacuous; Baryshnikov (whose caddish character is terribly underwritten) displays hints of acting chops, but one simply waits impatiently for his next stunning dance appearance on stage. With that said, the film is not without some solid merits — most notably the strong lead performances by Bancroft and MacLaine, playing lifelong friends and rivals whose complex relationship inevitably comes to a stormy head. Indeed, their nuanced portrayals as middle-aged women mourning the loss of their ballet-driven identities (MacLaine for what she never had, aging Bancroft for what she’s about to lose) almost make up for the film’s other faults — but not quite. No, though it’s worth a one-time look for the two strong lead performances. With a c’est la vie attitude, ‘TTP’ glorifies the very thing it denounces. This is not unexpected. Onstage, the ballet is a world of enchantment (although, not especially to me personally) – and ‘TTP’ presents it as such. But, by now, most of us have to come to see that – much like the theater/film world – there is a lot of pettiness, insecurity and fierce competition among dancers and choreographers. Unlike theater and film careers – but very much like the sports world, ballet has an expiration date attached to it: you will reach a still-young age that will force you out of the stage light. Hence, ‘TTP’ is a beauty and the beast story. It’s true that one has to separate an artist’s work from his/her personal life. I can probably still do that with other things Laurents wrote. But, for me, ‘TTP’ is just a bit too savage (by turns, slyly and overtly) to be satisfying.